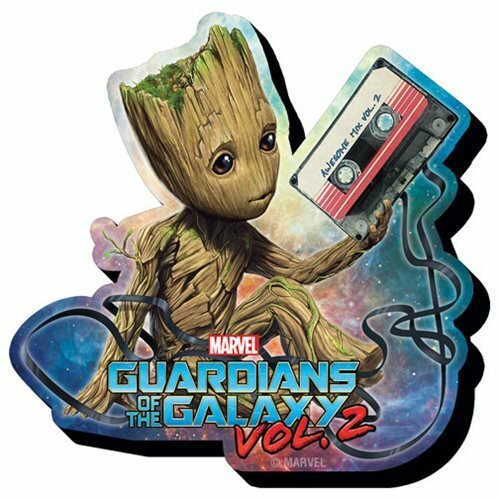 Shopping for Guardians of the Galaxy Magnets? Bring home a Guardian of the Galaxy! From Marvel's Guardians of the Galaxy Vol. 2 comes a funky chunky magnet of your favorite character! The Guardians of the Galaxy Vol. 2 Baby Groot Funky Chunky Magnet is wooden and laser die cut, plus it's so chunky that it will pop out on any fridge. Measures approximately 3 1/2-inches tall. Ages 14 and up.